Every year, the NBA has an amazing weekend that really brings you an action packed few days of quality moments. 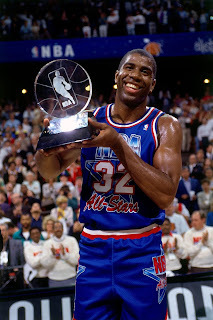 While the competition isn't as exhausting or serious as the competition that takes place during the regular season, the All Star Weekend presents a fun set of challenges like the Skills challenge, the three point contest, the dunk contest, but the main thing is the All Star Game itself. 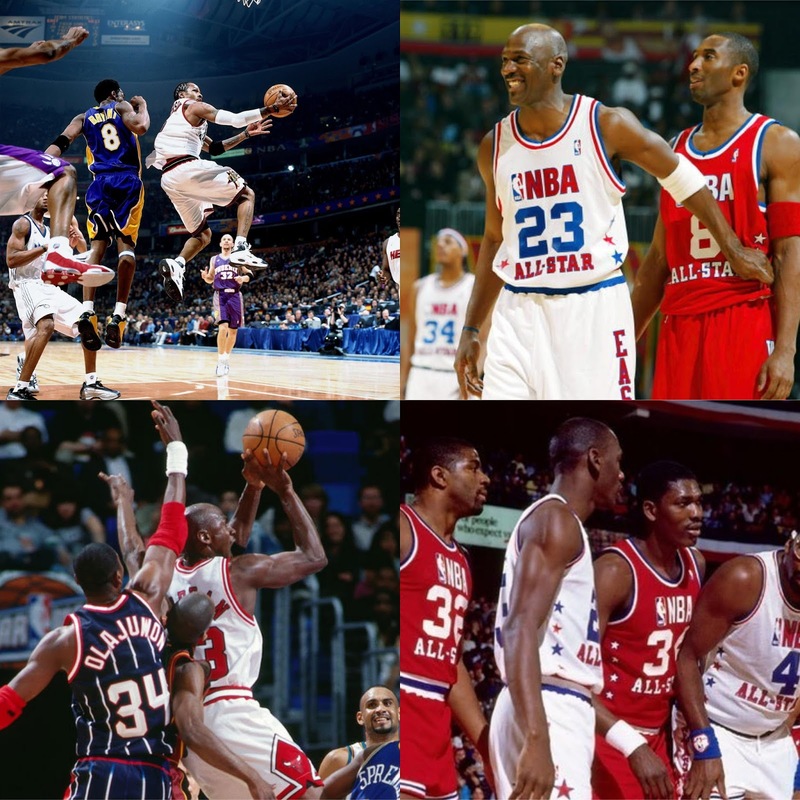 With the best of the best voted in to compete in a high powered exhibition game, the All Star Game (at least in the past) has been a central piece of the NBA for years and today, we wanted to take a look back the 5 greatest All Star Games. Let's get into it. 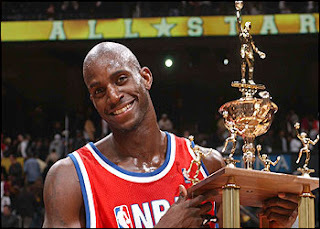 -This All Star Game holds a special place for me because it's the first actual All Star Game that I remember watching live. For one, I remember the whole 50 greatest players of all time set up and that was intriguing as 47 of them were on hand for the game. 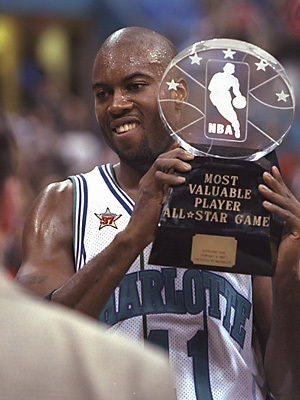 This game was all about records being broken, as Glen Rice won the MVP after putting up 20 points in the third quarter (a record) on his way to a game high 26 points. 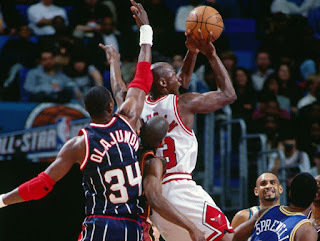 Michael Jordan would make history as well, recording the first triple double in the All Star Game, finishing with 14 points, 11 rebounds, and 11 assists. The East would come back from a deficit after the first quarter to win the game 132-120, and this was honestly one of the more exciting games in All Star history. 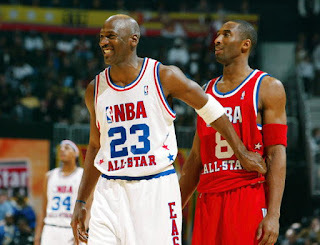 -The final All Star Game for the legend and the GOAT Michael Jordan. This was a classic game, as it would go to double overtime, with the narrative being that Jordan was supposed to win the All Star MVP. It seemed as everything was going according to plan, up until the final overtime where it seemed as if the East team just ran out of gas. The highest scorer for the East was Allen Iverson, finishing with 35 points, but Jordan would hit the go ahead shot with seconds left in the first OT, but the West seemed primed and ready to ruin the final All Star Game for him (also Jermaine O'Neal for fouling Kobe on a three he wasn't going to make). When it was all said and done, the high scoring affair finished at 155-145, with Kevin Garnett winning MVP after putting up a game high 37 points. While it didn't end in a win for Jordan and the East, his last second shot in the first OT is an iconic All Star moment. 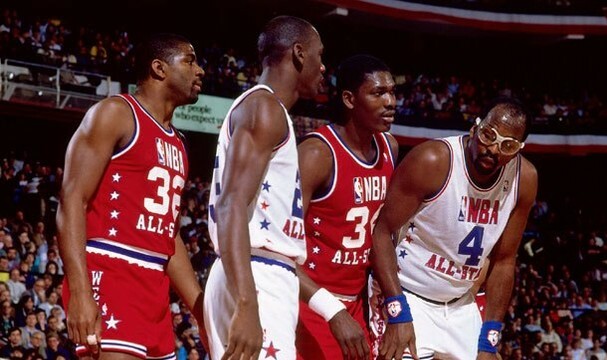 -This was a stacked All Star Game and it was special due to the fact that this would be the last one Magic Johnson was set to take part in. After the tough retirement announcement, Magic would go out and have an excellent All Star Game, winning the MVP with a stat line of 25 points, 9 assists, and 5 rebounds. He would have a few fun moments throughout the game, going one on one with Isiah Thomas and Michael Jordan, as the West decimated the East 153-113. This wasn't the most competitive game, but there's a special vibe about it due to Magic. 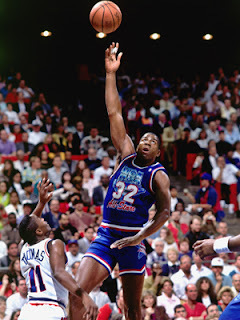 There were solid performances from David Robinson and Clyde Drexler as well for the West, and MJ and Isiah provided a decent scoring punch for the East. -This is my favorite All Star Game personally. If there was ever an All Star Game that personified competitive drive and an intense ending, this was the one. All Star Weekend was in D.C., and everyone came to play. The West started out strong, getting out to an early 30-17 lead after the first quarter and they would carry a 19 point lead into the 4th quarter. 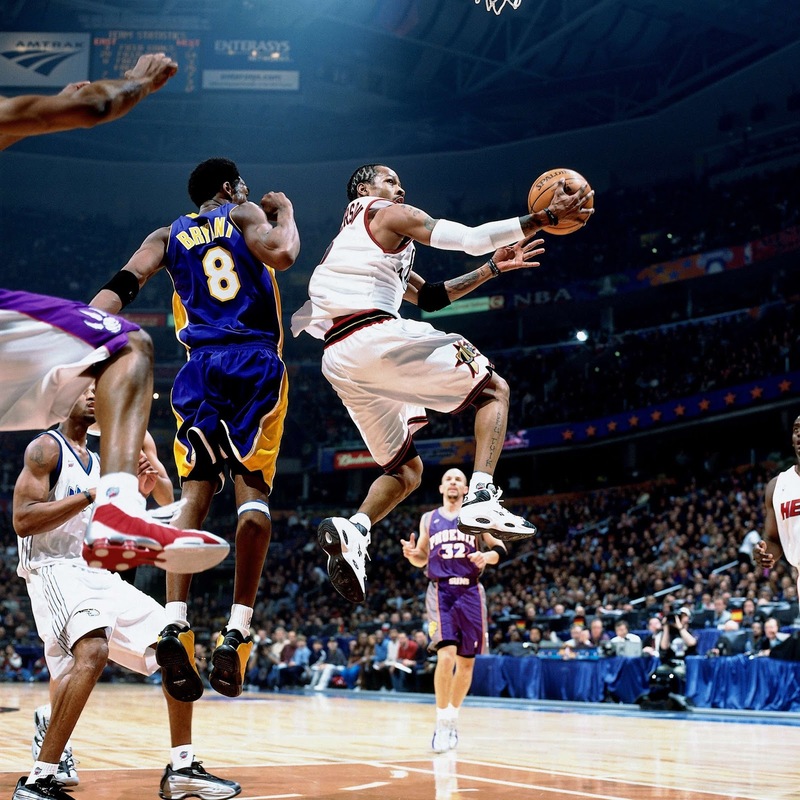 This is where the game becomes legendary in a way, as Allen Iverson took over to bring them back, scoring 15 points in the fourth. Stephon Marbury also had a big contribution in the clutch moments, but if anything, this was where the Kobe vs Iverson rivalry set the stage for what was to come. 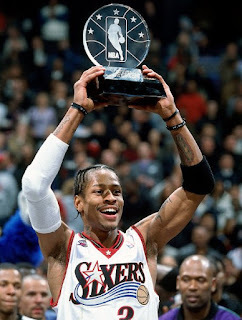 Kobe seemed to have All Star MVP on lock and Iverson would take over and steal that award from him, finishing with 25 points as the East would win 111-110. This is a definite All Star classic. -This was the weekend of Jordan. After winning the dunk contest in controversial fashion, MJ silenced all the chatter with yet another excellent performance in the actual All Star Game. 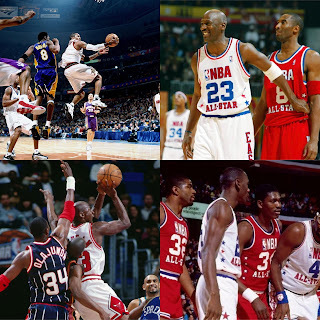 Held in Chicago, this All Star Game was essentially the crowning of Jordan as the best player in the game. 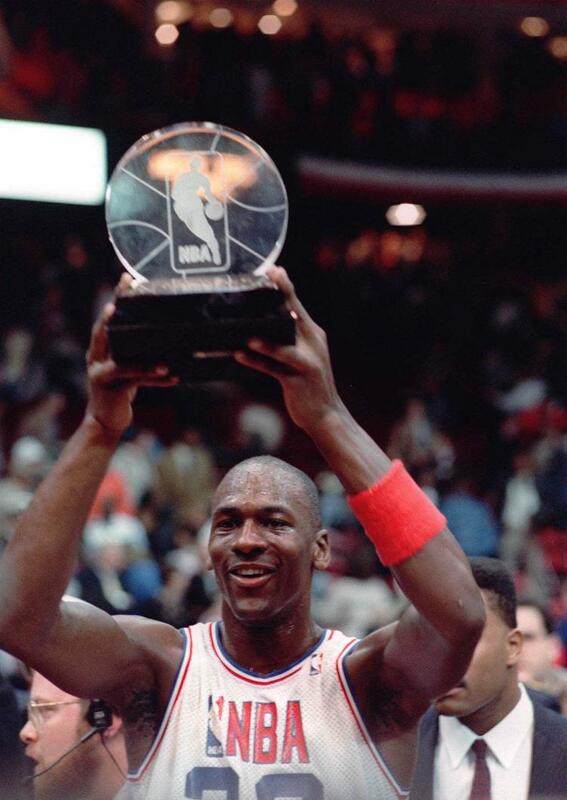 In a season where he won the dunk contest, MVP, and Defensive Player Of The Year, Jordan would also win the All Star MVP thanks to his legendary 40 point performance to lead the East to victory. The East would win 138-133 in a high scoring affair, and Jordan played like he had a chip on his shoulder, showing out because he had to for the home crowd. Of all the All Star Games, I still hold this as the greatest because up until recently, this was the greatest performance in All Star history.